Druidry is a simple nature based mod that adds more early game variety, with a touch of magic. There are new things to explore and see, with extra world gen and some new monsters. You can decorate with the new blocks and items, there's more flowers and trees then before. There are new ways to take care of your animals, they'll even heal a little after being fed. You can get by with a lot less mining and killing then before. We've tried to make the mod immersive and pleasant. You can do many early game tasks more easily but we've also worked to strike a balance so nothing will be just handed to you. That said, a starting guide to Druidry is now just handed to you! If you have Not Enough Items installed and the in-game book with you, you should be able to get pretty far on your own without spoiling anything exciting. This mod always looked very interesting. I guess 1.12 is a no go since you can't find time? It's weird, in the new 1.7.10 Druidry, I turned the option to give the book false, but it's still given when I enter the world, whether or not it was already created, or freshly created. Good catch! Looks like I made a typo in that code, I'll upload a new build today hopefully it works better for you! It works now at least. Thanks, now I don't have to keep removing the book from inventory. Players of our private server love your mod very much. oh dang, yeah that could be related to one of the dimensions in the mod that just used a jungle biome as a temporary biome until a unique one had been implemented. so I guess it's getting confused and trying to use that biome but maybe terrafirmacraft has changed it so it crashes. I think the other dimension used an ocean biome. unfortunately I don't think there was a way added in the config files to disable the dimensions. there might be a mod for 1.7.10 that can disable modded dimensions or change what biome they generate and you can make them both valid but I don't know. we've been wanting to do an update to both 1.7.10 and 1.10 just to clean up issues we've heard people have so they're kind of in a clean state for future modpacks. so when that happens sometime in the future we'll add an option for disabling the dimensions and that would possibly fix the issue. I was just trying to recreate the issue for a bit and didn't run into any crashes or issues on 1.7.10 terrafirmacraft 0.79.29.922 and 1.7.10 druidry v2016.8.10.2. but maybe I wasn't making worlds that were generating jungles near the spawn or something, or didn't generate enough worlds. the emerald dimension still loaded just fine and was a default vanilla jungle biome it seemed. so now I'm really confused as to what the crash you were getting was, lol. if you get it again a crash log would be great. thank you for letting us know about this and we'll make sure to add some config options that help later. Yes, I haven't experienced it any other way and when I removed Druidry the world creation stopped crashing, the weird thing about it though is that if I have a previously generated world or I generate it in regular TerrafirmaCraft the world doesn't crash when loading it afterwards, only on its initial creation, no jungles have been found forced into existence either, I figured it could be the dimensions and by using Unloader I may be able to remove them without disabling the dimensions themselves, it would rather keep them unloaded until any chunks are created in them, However Unloader is 1.12.2+ only, I don't think it actually is the dimensions though as the game runs perfectly in older worlds and all features of Druidry work as intended (Branches from leaves, etc), I have other mods installed too as I intend to use Druidry as a primal feature of a Modpack, I recently began working on it from scratch again to make development easier but the crashes still occured, To where should I leave a Crashlog, trust me I have a lot, thanks so far! I believe this is the correct crash report, thanks! hi! 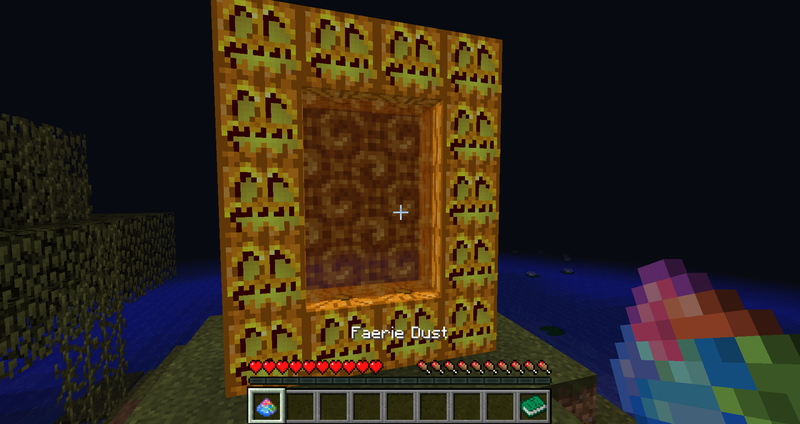 in the 1.10 version of the mod the only portal is the one to the Samhain, which is built out of jack-o-lanterns (you'll need to place blocks in the center and to support the pumpkins and take them out later since pumpkins can't float) and is lit with the faerie dust left on the ground by faeries. here is a picture of the portal! 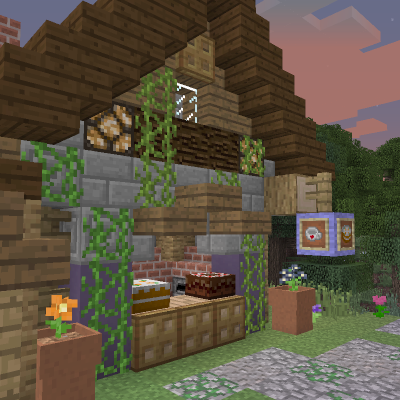 the 1.7.10 version has more portals that were never updated and added to the 1.10.2 build. You have plans to update this for 1.12.1? This mod is so amazing, I love it! It's a really great job! Any plans to update this more or do you guys think you are done with it, only why I ask how it says it's beta. we'd love to get back to it eventually, still plenty of ideas we had for the mod for sure. but no estimate on when unfortunately.